It is a familiar fact that orchids in Estonia flower in spring and summer and then set seeds in the second half of summer or in autumn. But what happens in late autumn and early winter before the serious degrees of cold arrive? A total rest period? Actually no. 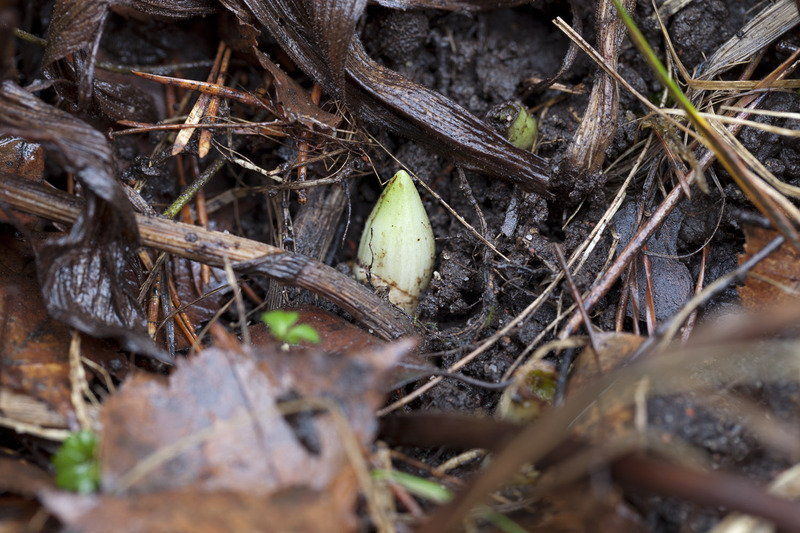 After setting seeds, the orchid plant in autumn slowly starts underground preparations for the new season. How far they advance with this depends on the weather, mainly the degrees of frost. It can be surmised that the warmer the climate in autumn and early winter, the further development advances, and the more probable the appearance of new orchid leaves above ground for winter. A softer climate is favoured primarily by warmth from the sea and so this is a phenomenon most often seen in Saaremaa and Hiiumaa. But even there not always and not everywhere. In mainland Estonia first of all on the coast close to the sea and even there only in some specimens. Elsewhere in Estonia it is already less likely. Depending on the particular year. In late autumn of one year in western Saaremaa I have seen new leaves or shoots of 14 species as a maximum! 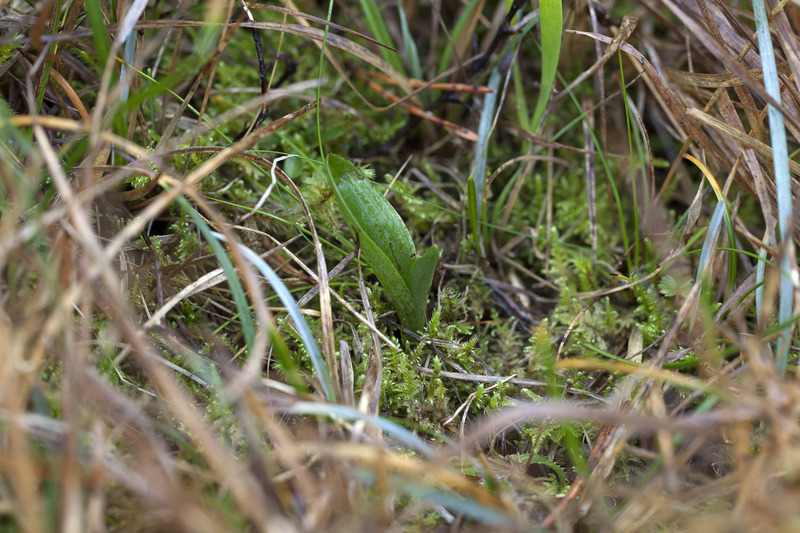 Certain to behave so are the greenwinged orchid (Orchis morio) and burnt orchid (Orchis ustulata). 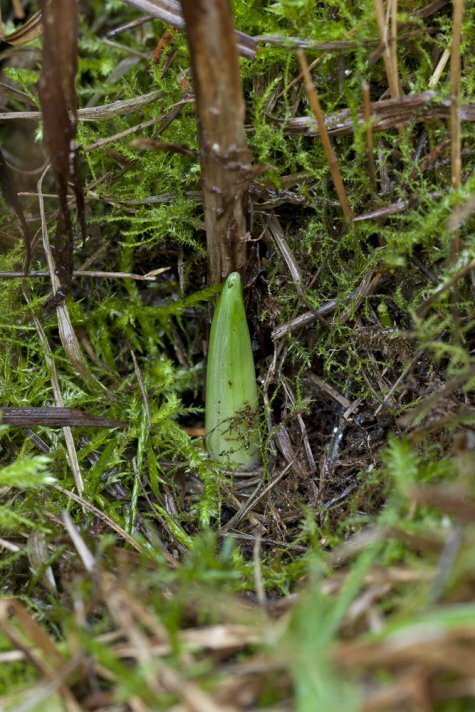 Quite often the early purple orchid (Orchis mascula) and the military orchid (Orchis militaris). 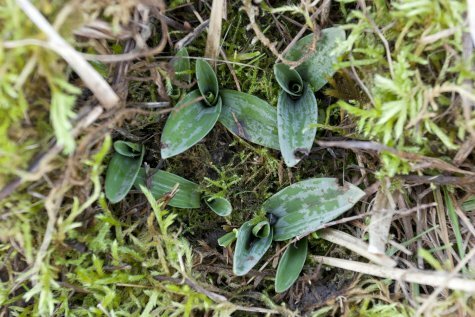 Sometimes also species of the Dactylorhiza genus and the fly orchid (Ophrys insectifera). The latter was chosen by the EOKK as orchid of the year 2015. 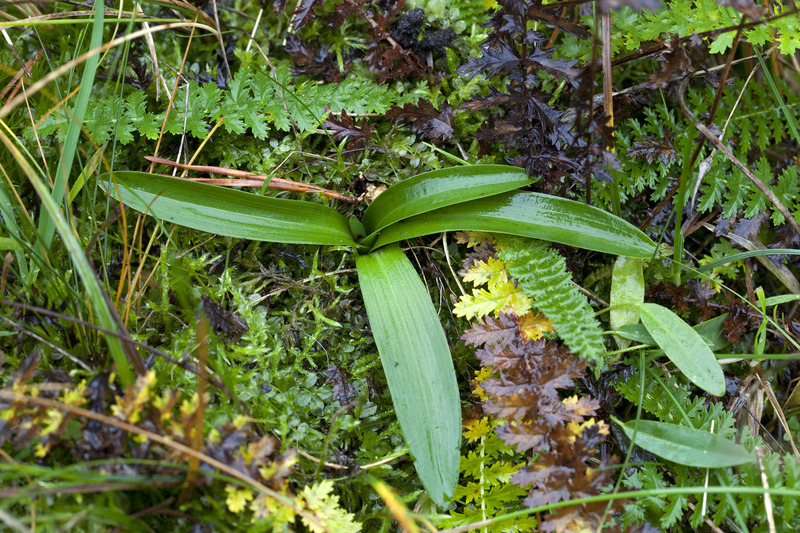 Less often the Platanthera or butterfly orchid genus and the fragrant orchid (Gymnadenia conopsea ). In very favourable years even the lady’s slipper and the helleborines manage to get their shoots to ground level or even a centimetre above it. 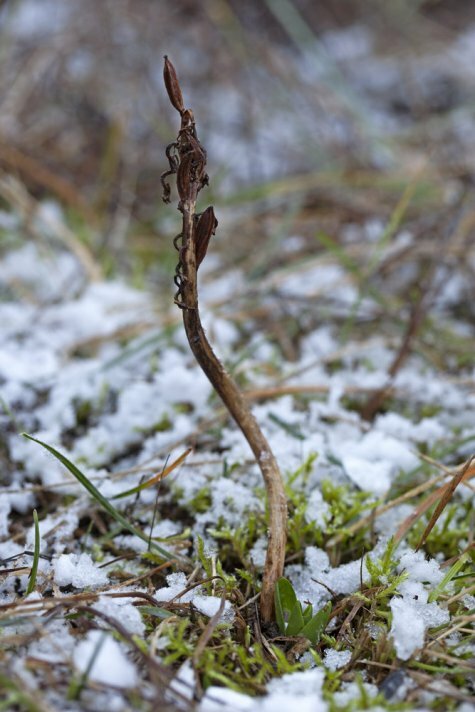 On the coast of mainland Estonia the burnt orchid certainly gets its new leaves to ground level. Of the reminder primarily the early purple orchid can be seen, less often leaves of the military orchid. However, other species cannot be completely ruled out. When more severe winter arrives all development of course stops and the plants enter a state of dormancy.